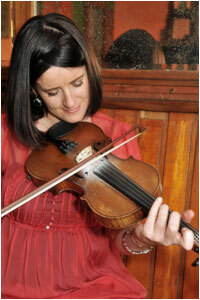 From North Connemara, Liz and Yvonne Kane, known as The Kane Sisters, are much respected musicians and educators. Born in Letterfrack, they were educated in Kylemore Abbey School. They were taught music by their grandfather, local fiddle player, Jimmy Mullen and Mary Finn, a Co.Sligo musician and teacher. The Kane Sisters toured Ireland and the United States following the release of their first album and this followed with a second album entitled ‘Under the Diamond’ in 2004. 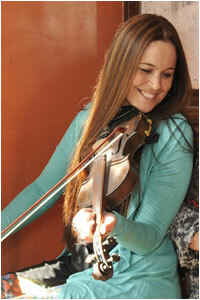 Based in Letterfrack currently, Liz and Yvonne teach music during the school year and tour in the US during the summer. Between them, they have close to 200 students and travel all over the west coast teaching music. Their latest album ‘Side by Side’ was launched in July 2010 at The Catskills Irish Festival in East Durham, NY and followed by a two week tour with concertina player Edel Fox. Our grandfather Jimmy Mullen, Fahy, Clifden, Co. Galway passed away in August 2003 after a long illness. A renowned figure in the world of traditional music, his death saddened not only his family and friends, but has been felt nationally and internationally by people who travelled regularly to meet him and join in the frequent music sessions which he loved so much. Although James was better known for his fiddle playing, he was also an accomplished watch and clock repairer, storyteller and could turn his hand to anything. His favourite phrase was 'if at first you don't succeed, try another way'. 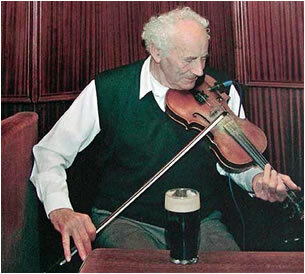 Connemara has lost a legendary figure in traditional music circles and indeed he will be remembered fondly wherever there is a gathering of musicians. May he rest in peace.